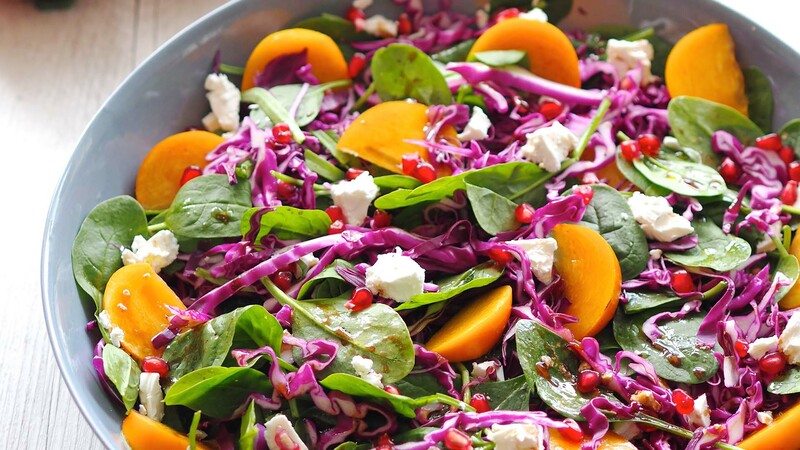 Brighten your day with this fresh and colourful salad, sweet with the goodness of persimmons. 1. Slice persimmon into thin wedges and thinly slice cabbage. 2. Add to a serving bowl along with spinach leaves. 3. Sprinkle with feta and top with pomegranate seeds. 4. Combine all the dressing ingredients, toss through and enjoy! Find more delicious recipes at Persimmons Australia.